If you or a loved one has been injured in a bus accident, our firm is here to help minimize your financial losses. Through a successful lawsuit, we can obtain money to cover medical bills, lost wages, and many other expenses. Although we cannot take away your physical and emotional pain, we offer compassionate and respectful legal guidance. By handling every detail of your case ourselves, we can allow you to focus on your recovery. Bennett Johnson, LLP, has experience litigating all varieties of motor vehicle accident cases. Therefore, when you choose a bus accident lawyer at our Oakland, Napa, and Santa Maria, CA, firm, you know you will have strongest case possible. In addition, we make our services affordable by offering free case evaluations and by working on a contingency basis. Driver fatigue is a major cause of bus accidents. Far too often, transportation companies force their employees to work excessive hours. Alternatively, they deny drivers compensation until they reach their mileage quota. As a result, many drivers are simply not able to stay alert or make prudent decisions on the road. Further, buses often do not have appropriate safety measures on board. This can worsen the injuries sustained in a collision. In one notable case, we obtained $3.2 million in a wrongful death case after a bus overturned on Highway 101. 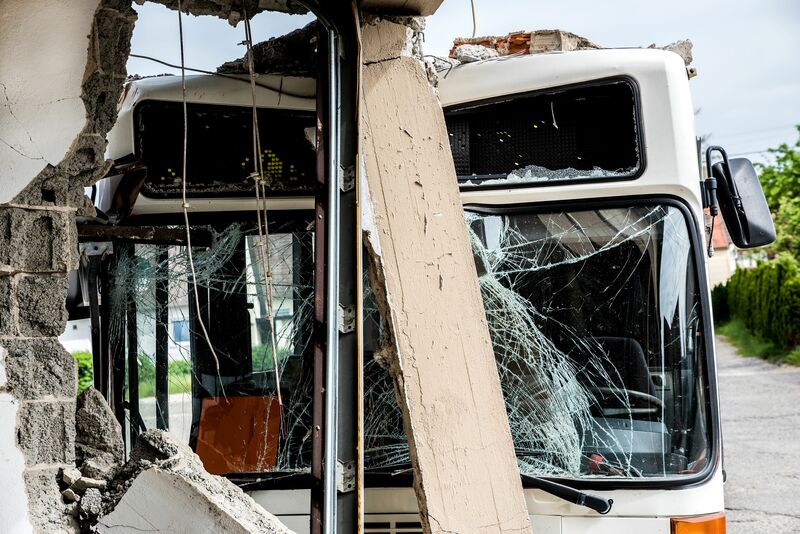 A bus accident attorney can obtain critical evidence such as time logs, vehicle and road maintenance records, and phone records to prove liability in your case. Just as there are many different causes and types of injuries involved in bus accidents, there are also various parties who may be held responsible. Of course, the bus driver may be found liable, particularly if speed or recklessness were major factors. However, the transportation company could share responsibility, as in the case of driver fatigue. The company could also be held liable if a bus accident occurred because of a defective or poorly maintained vehicle. Other responsible parties could include those responsible for road maintenance and the driver of a car involved in the collision. Whatever the cause of your accident, a lawsuit can help you garner compensation. After a bus accident, you could have steep medical bills and property that you need to replace. Our attorneys can help you recover these costs. We can also get you money for future expenses, such as ongoing medical care, lost wages, and support for dependents. There are many factors at play in bus accident cases. Consequently, it is important to work with an expert attorney. Our lawyers have been practicing personal injury law since 1981. We are familiar with all types of personal injury law and have won millions of dollars for our clients. In fact, in one notable case, we obtained $3.2 million in a wrongful death case after a bus overturned on Highway 101. Along with strong legal arguments, we provide compassionate and personalized assistance. Taking the weight of your case on ourselves, we will simultaneously keep you informed about the process. Thus, we can reduce your stress and emotional burdens. Following a bus accident, time is of the essence in creating a watertight case. Contact Bennett Johnson, LLP to find out if you have a viable claim.